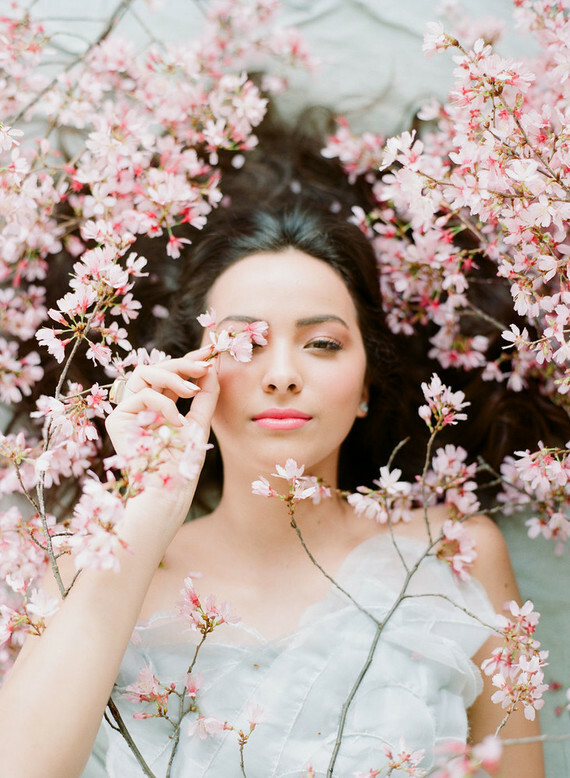 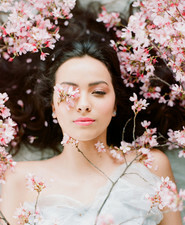 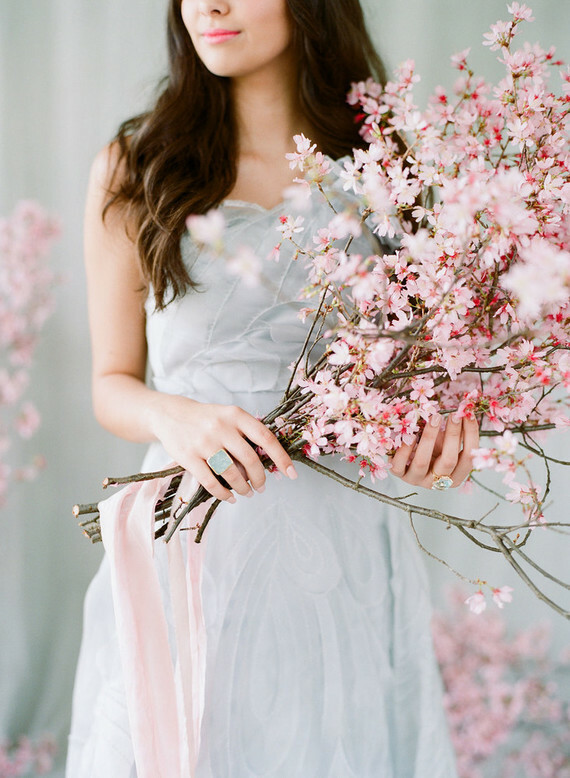 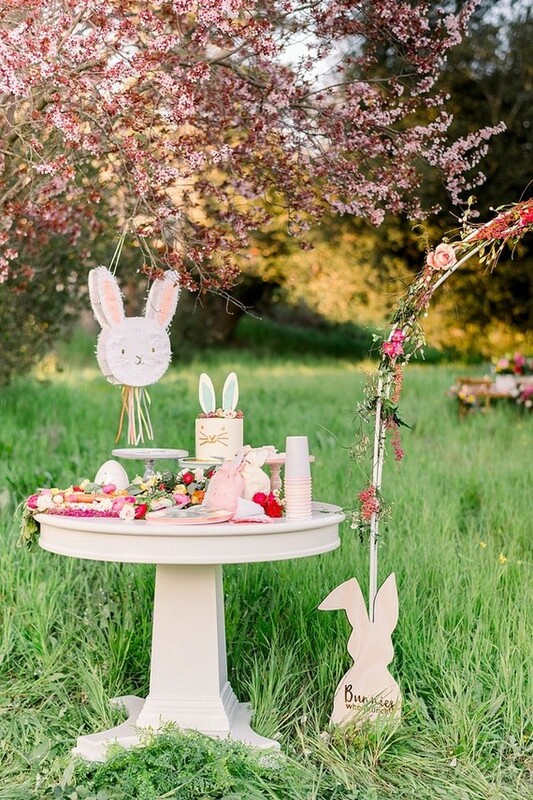 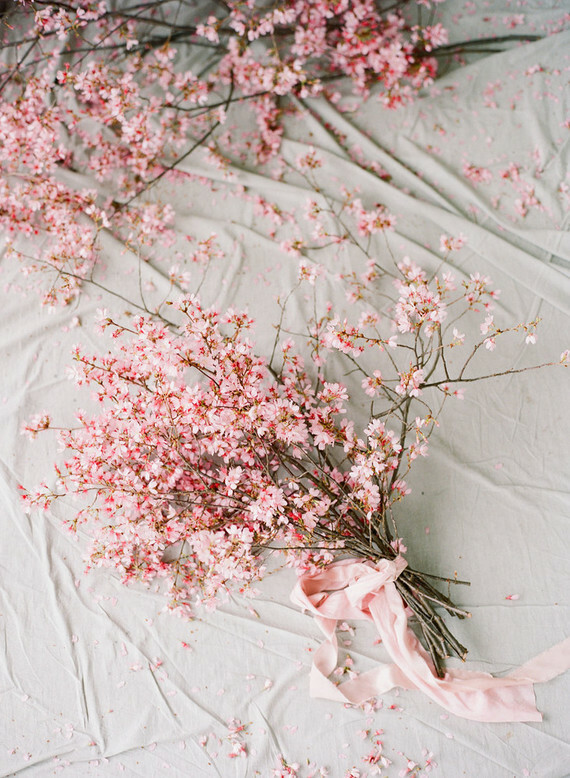 Is it really spring if we haven’t had a cherry blossom themed post here on the blog? 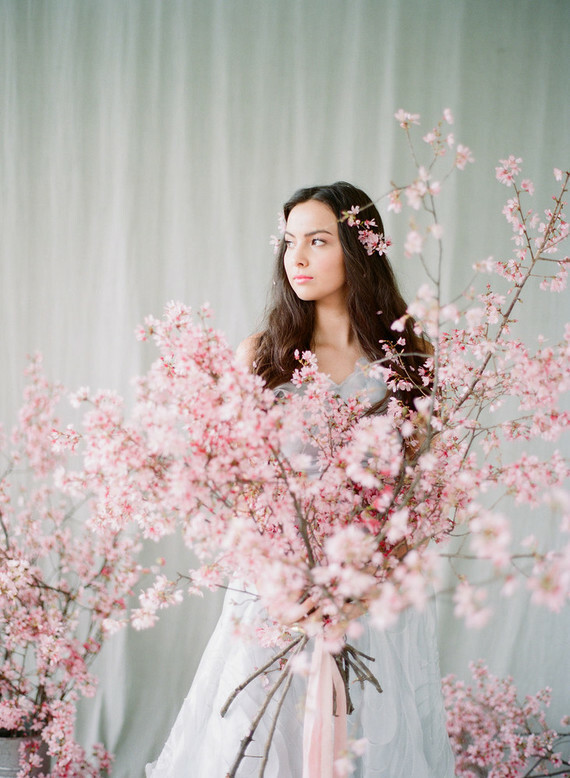 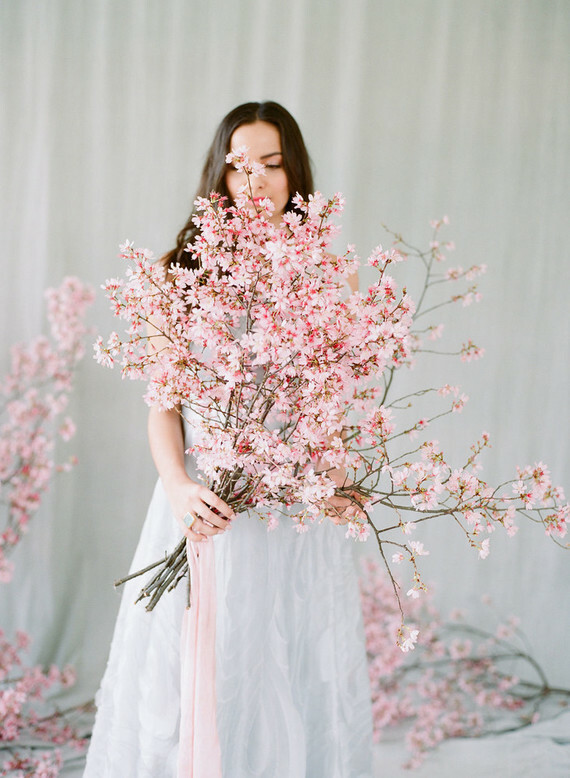 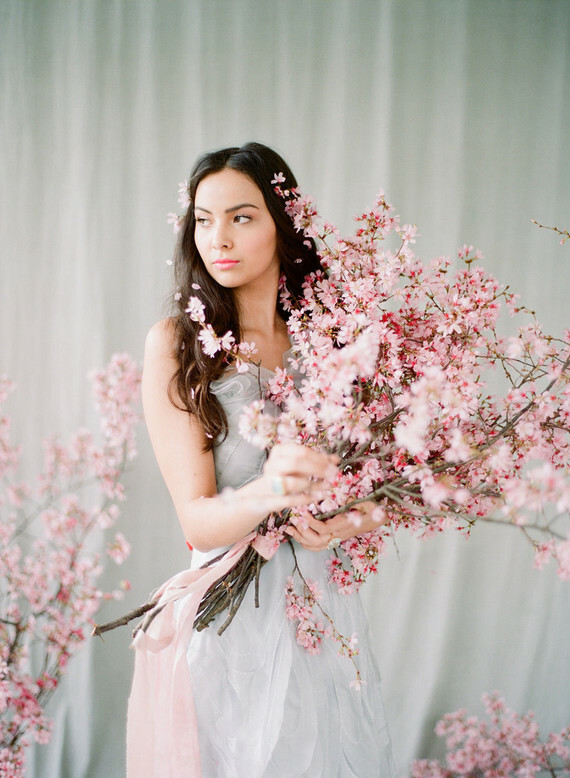 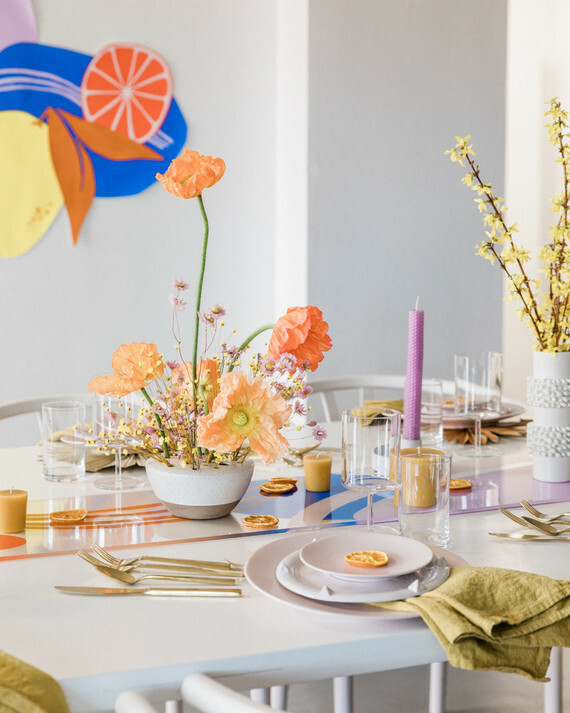 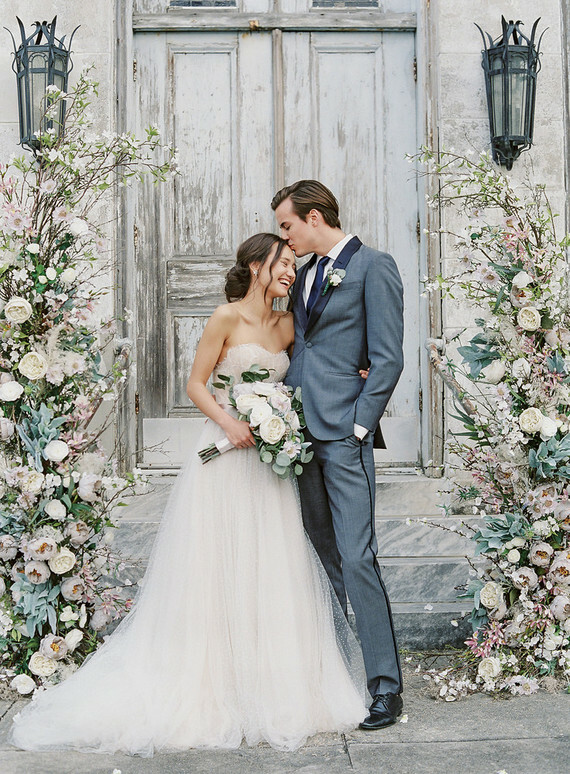 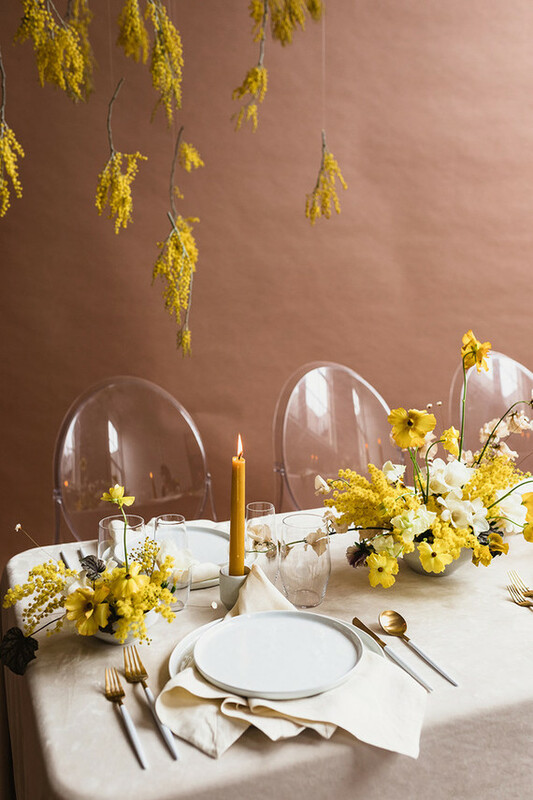 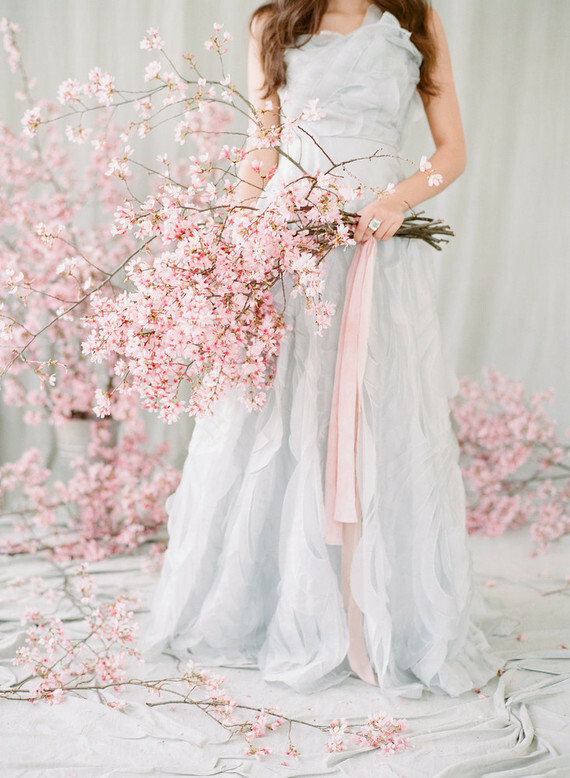 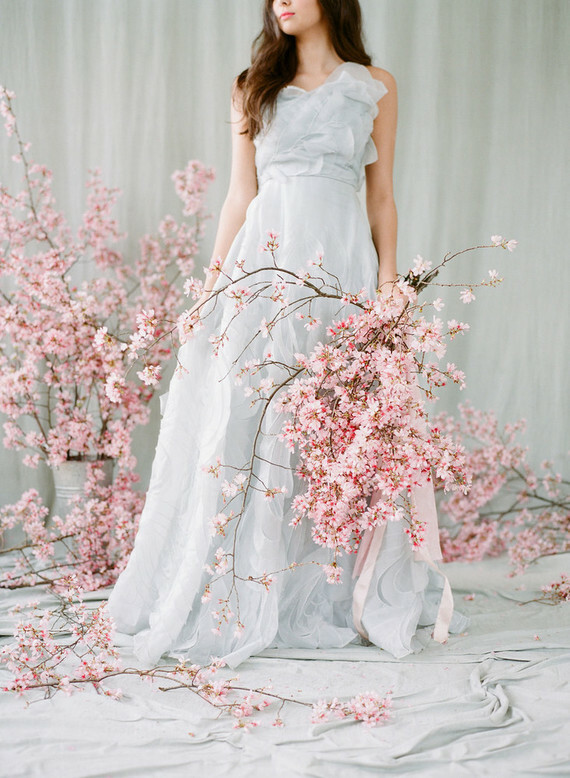 The cherry blossoms of Charleston bloom for only two weeks in the springtime, so photog Marni Rothschild, who was also behind the florals you see here, took full advantage of their abundance for this bridal editorial. 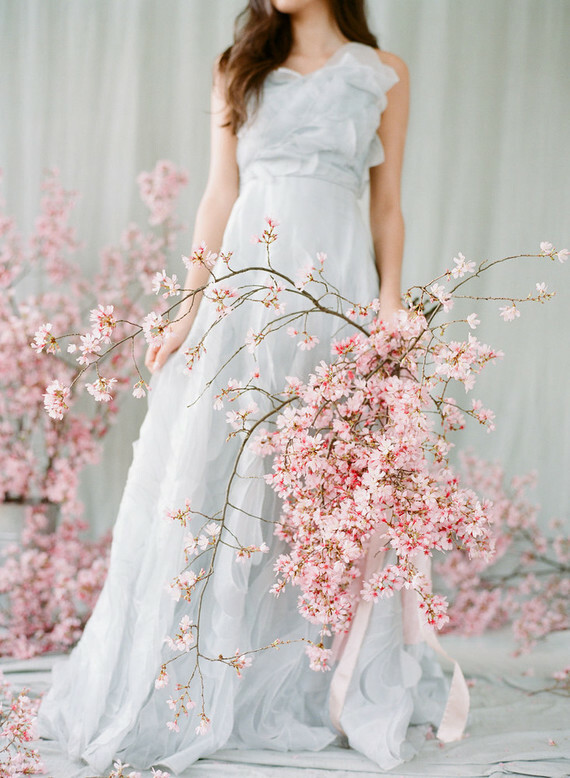 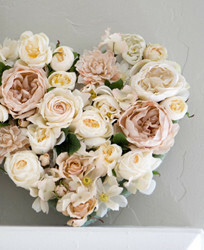 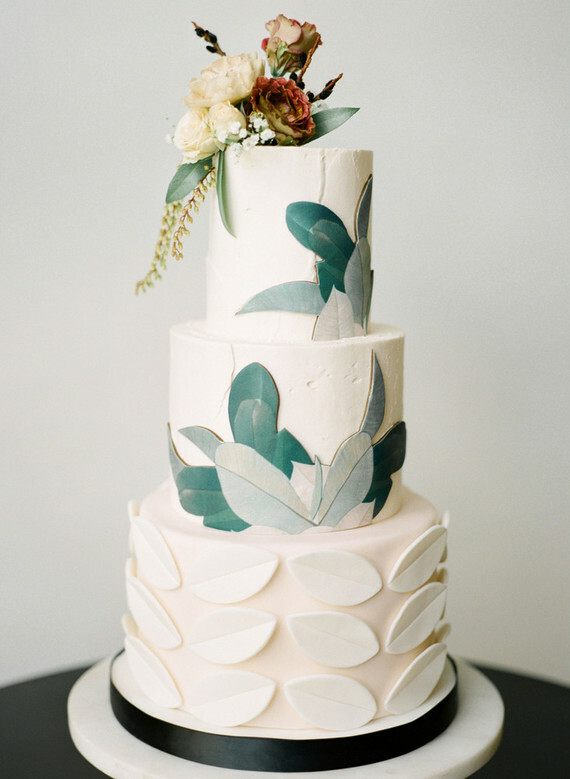 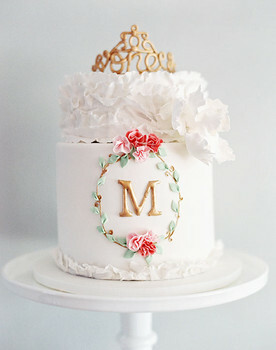 Wouldn’t this be such a unique bouquet to walk down the aisle with for a spring wedding? 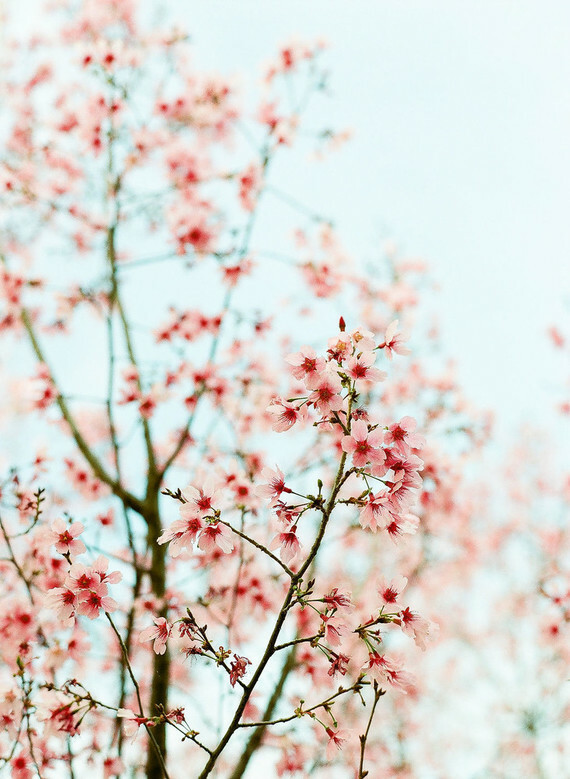 Marni tells us, The petals explode and immediately following, a flurry of bees come to feast and the trees literally buzz and vibrate with noise and color. 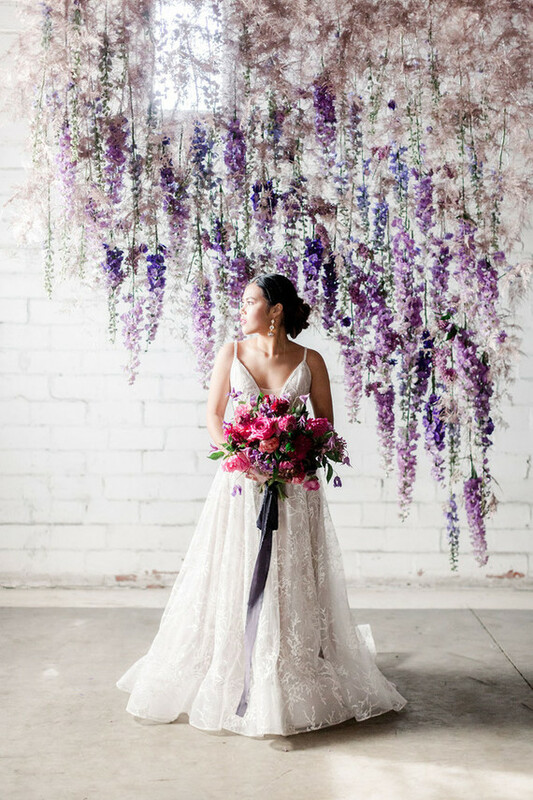 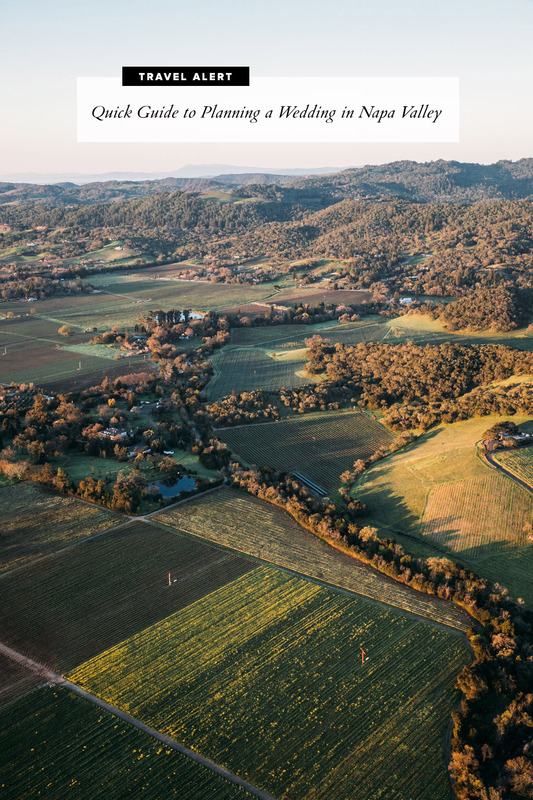 We wanted to capture the beauty and abundance of the blooms but also acknowledge that their gifts are fleeting and ephemeral. 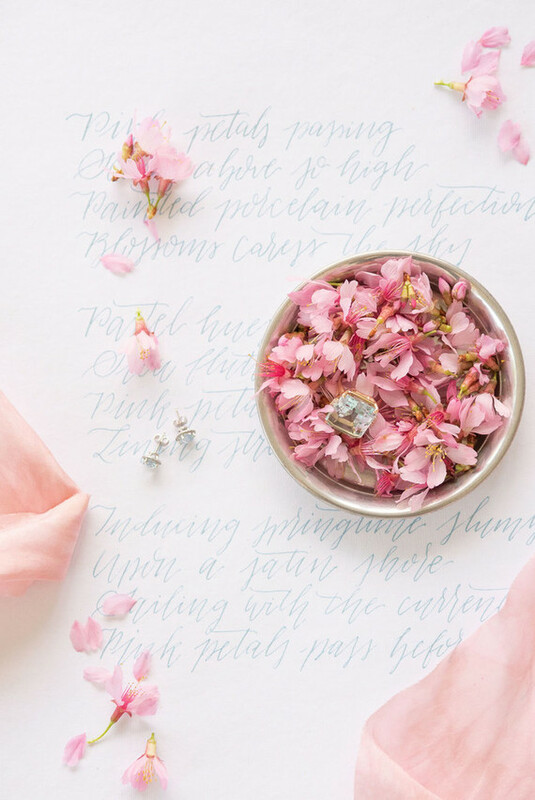 We paired the flowering pink branches with the pale blue ultra feminine “Oakley” gown by Kate McDonald and exquisite jewelry from Croghan’s featuring the March birthstone, aquamarine. 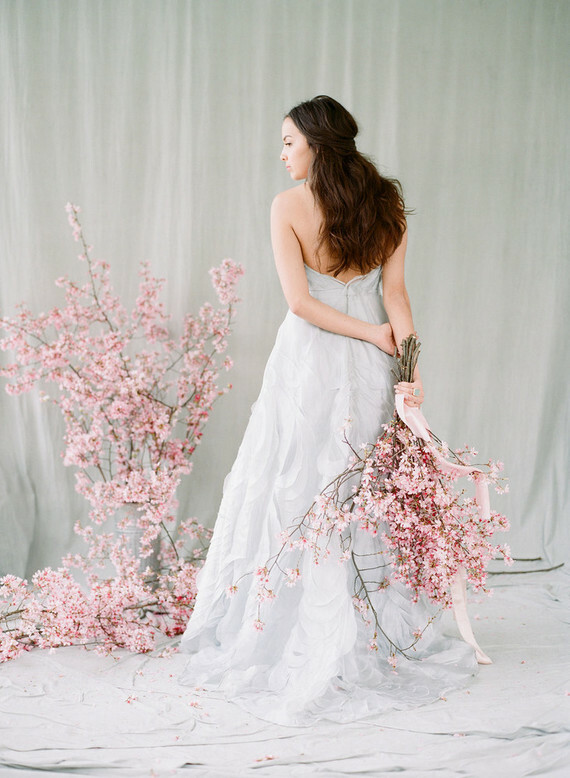 The delicate ruffles of the Oakley gown echo both the soft edges of the blossoms and the wings of the insects that flock to the tree when it’s in bloom. 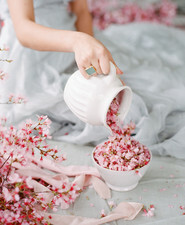 Lines from Mary Fumento’s poem “Cherry Blossoms Adrift” tied the concept together and provided inspiration to cascade the petals like liquid from a porcelain pitcher. 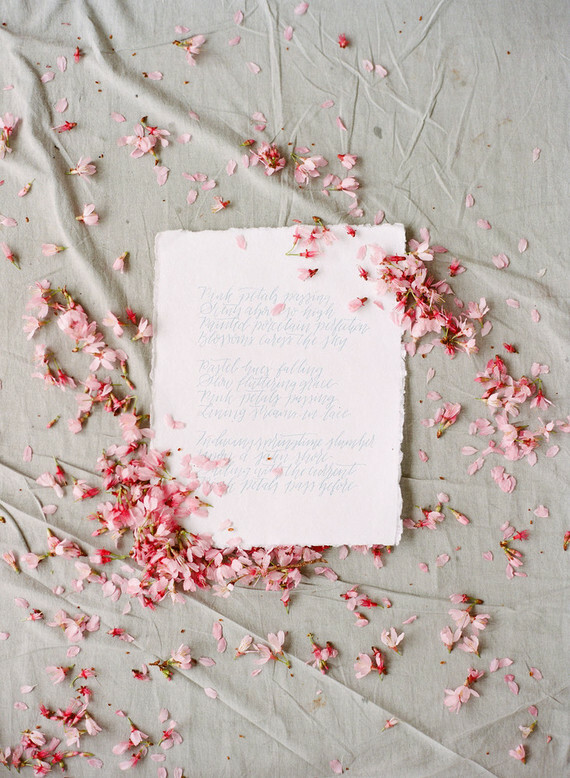 “Pink Petals Passing, Scents above so high. 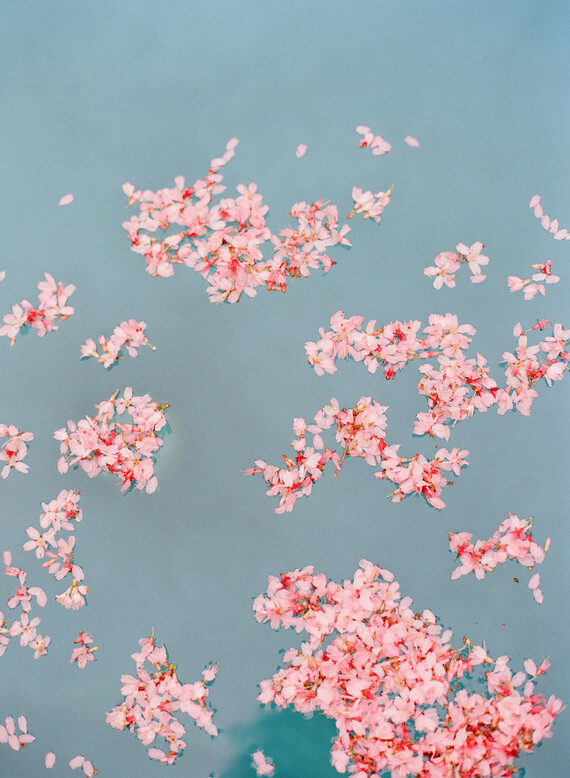 Petals streamed like water and the model floated away in flowers before we finally tossed the blooms into the water. 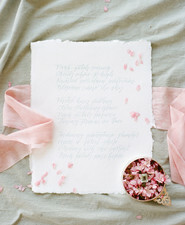 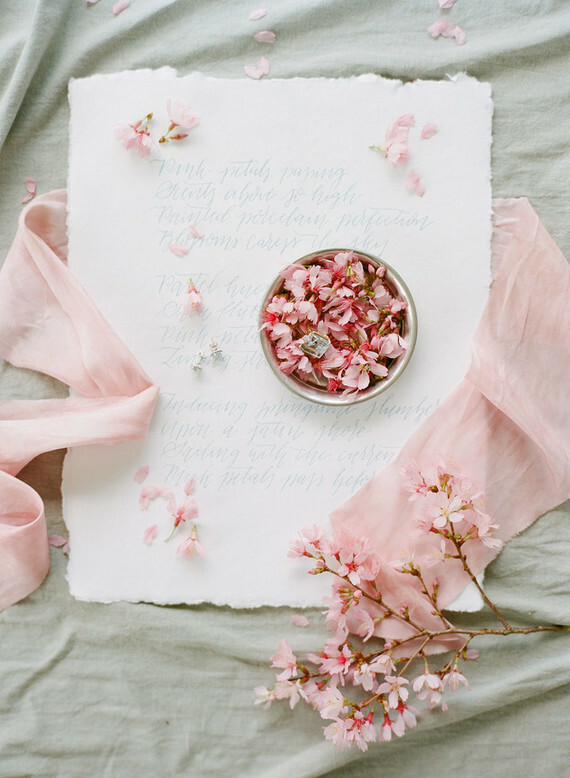 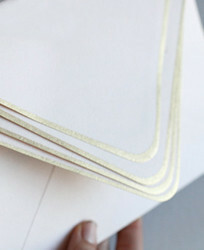 Dear Jane Designs calligraphed the poem for their bride. 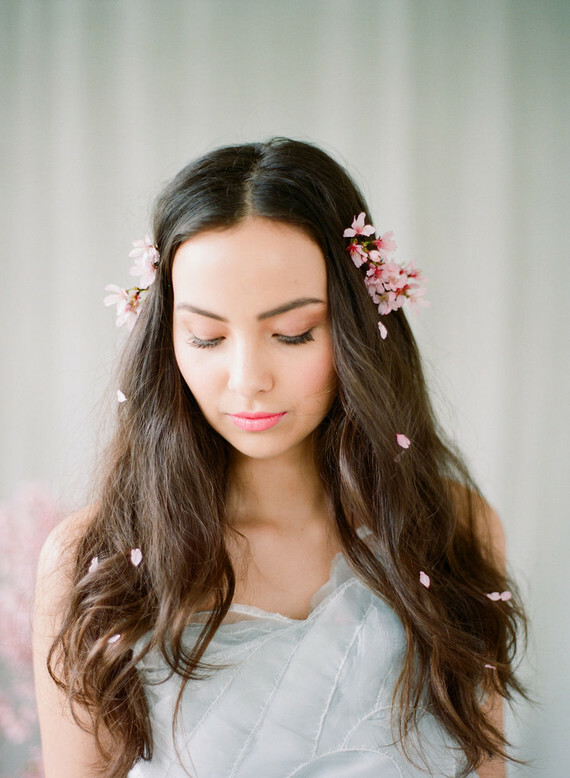 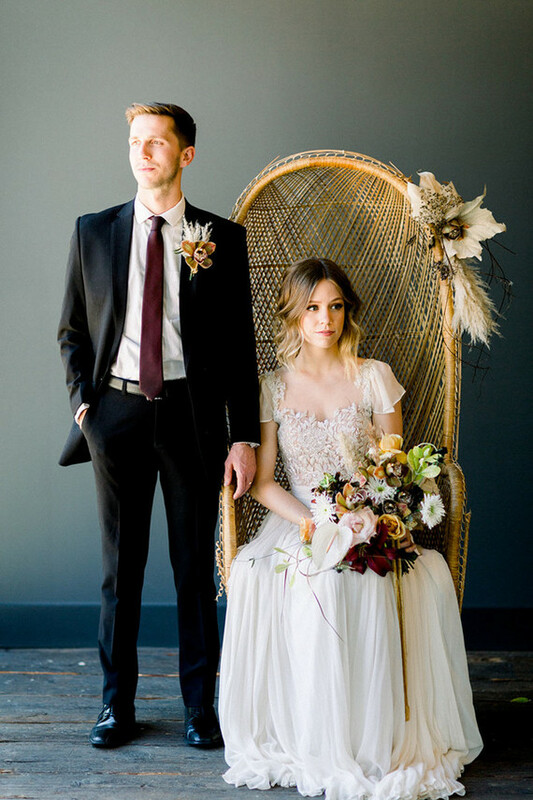 And shout out to Ashley Brook Perryman on the romantic spring bridal hair + makeup. 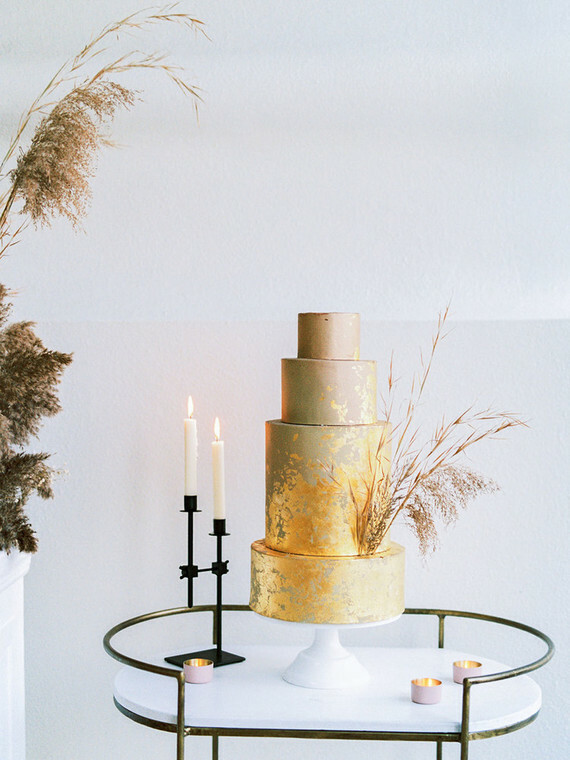 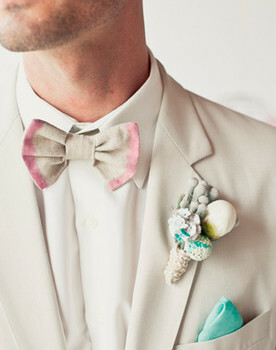 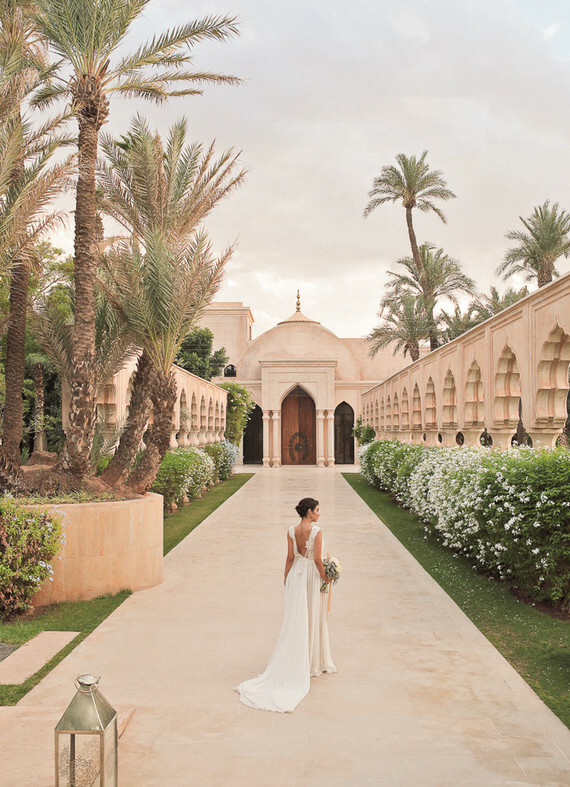 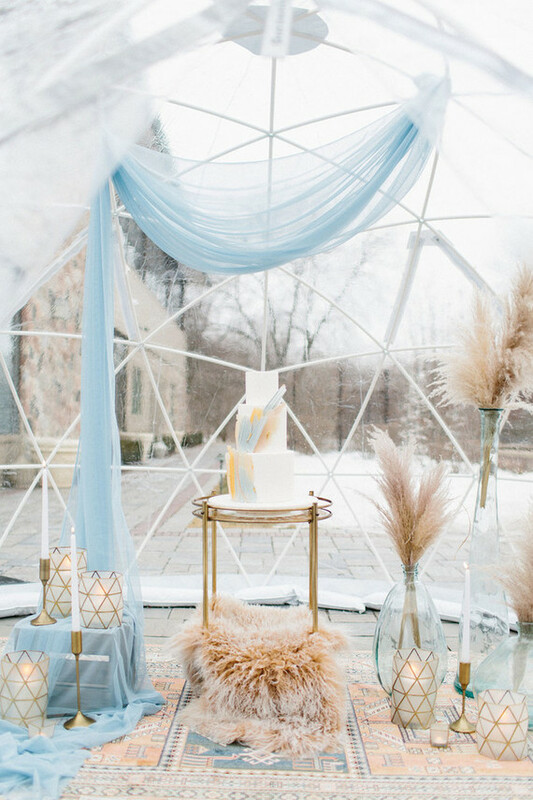 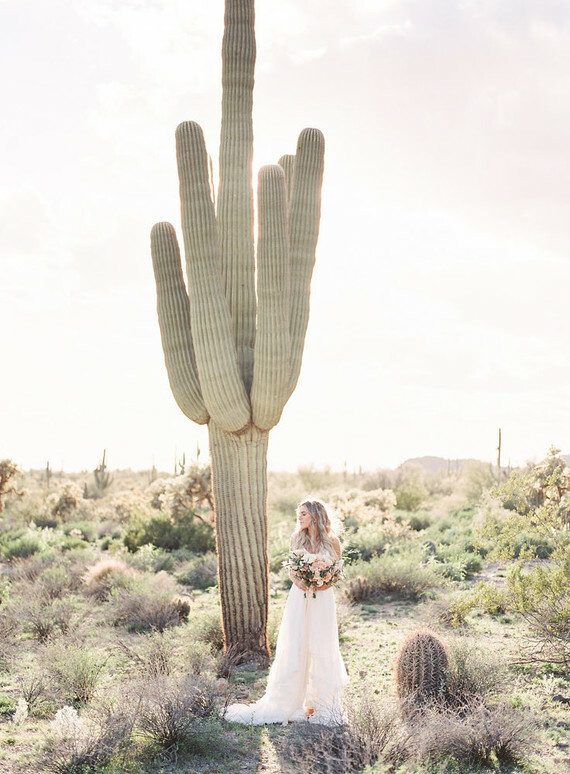 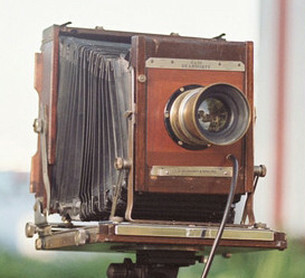 Love the idea of taking a fleeting moment in nature as part of your wedding concept, don’t you?